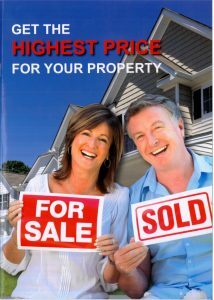 When it comes to selling we all want the highest price for our property. Finding an agent to sell your home is easy, but the real challenge is finding an agent who knows how to get you the highest price. How do you find such an agent? Do you select the agent who promises you a high price and a low fee or do you base your decision on a different set of criteria? Is it possible that the ‘quote a high price and a low fee’ type agent may not have good negotiation skills and is trying to ‘buy’ your listing? Don’t let the price and the fee be the basis and the deciding factor for choosing one agent over another. There are agents who will inflate the price just to secure your listing, leaving you disappointed and thousands of dollars out of pocket in marketing costs when they cannot sell your property for the price they quoted you. Or even worse when they convince you to sell your property for less than what a better agent could have sold it for you. Your home does not have a fixed price tag like a product on a supermarket shelf. Your agent’s negotiation and selling skills play a huge part, and can greatly influence, the price you receive. The best agents also know which process to use to guarantee you get the highest price for your property. Contact our office to obtain your free copy of the booklet below.